Welcome to Wednesday! 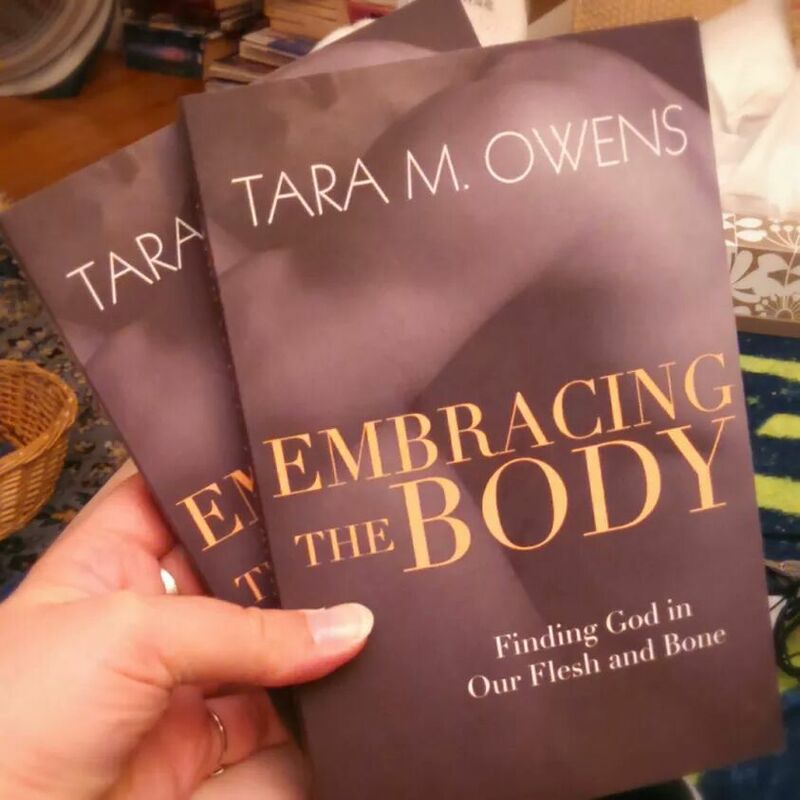 This week is launch week for my friend Tara’s new bookbook, Embracing The Body! I’m so excited for her! The book’s official release date is this Friday, March 13. In celebration I’ll be interviewing her on the blog that day. 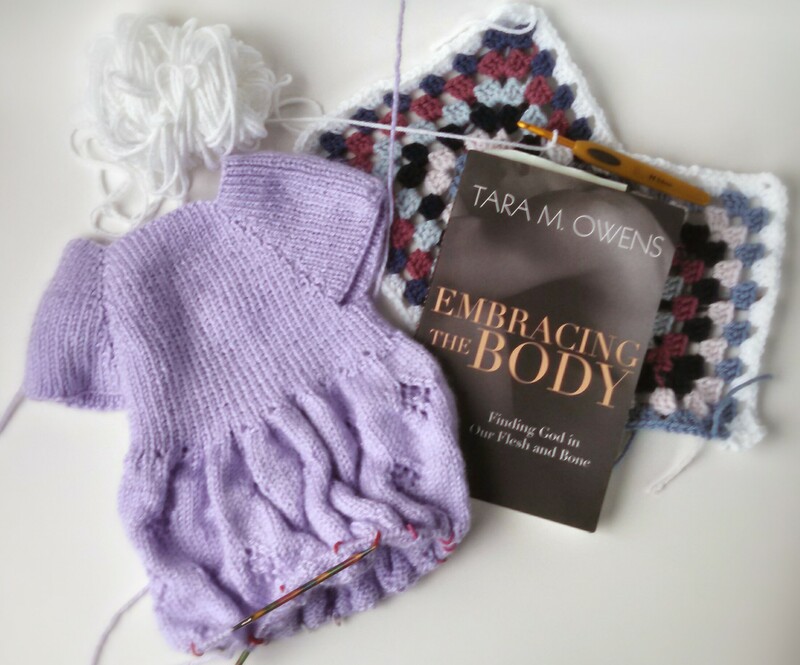 I do hope you’ll come back and learn more about Tara and her passion for wholeness. If you have any questions for Tara, let me know in the comments. 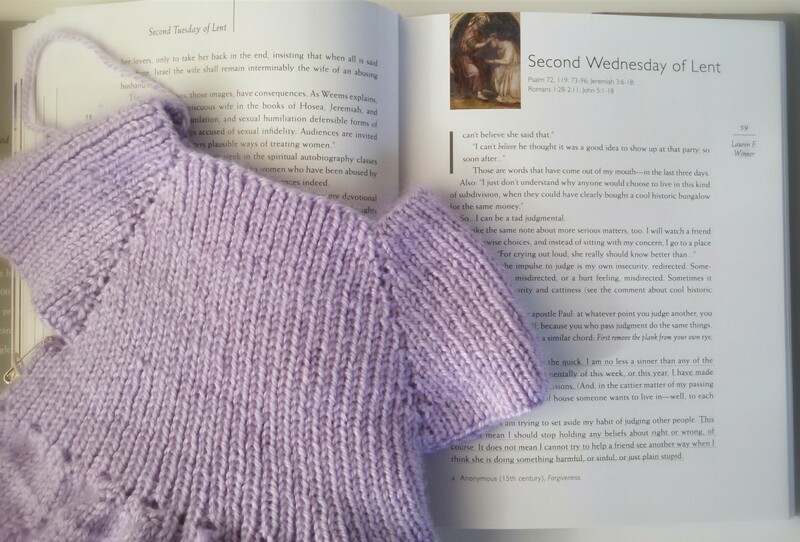 In the mean time, it’s WIP Wednesday and time for the link-up at Small Things. I’ve been pretty busy this week! 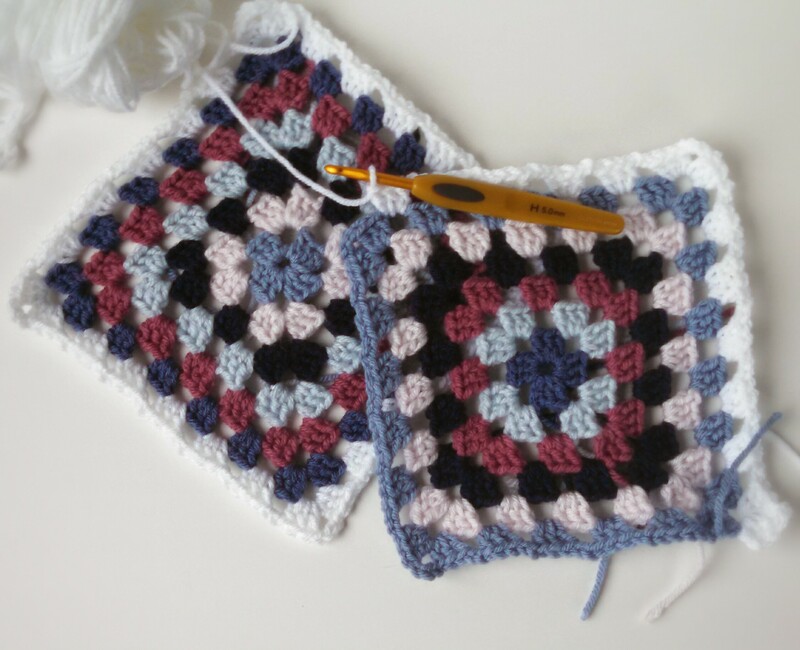 I’ve made a bit of progress on the squares for my Magnum Opus. The official count is 28 squares. When February turned to March, decided that it was time I changed the decorations outside my front door. I took down my Winter berry garland and exchanged my snowman doormat for a more Springy one. But, Oh! Does my door look plain now! That must be remedied! So, I started a flower garland using this pattern. 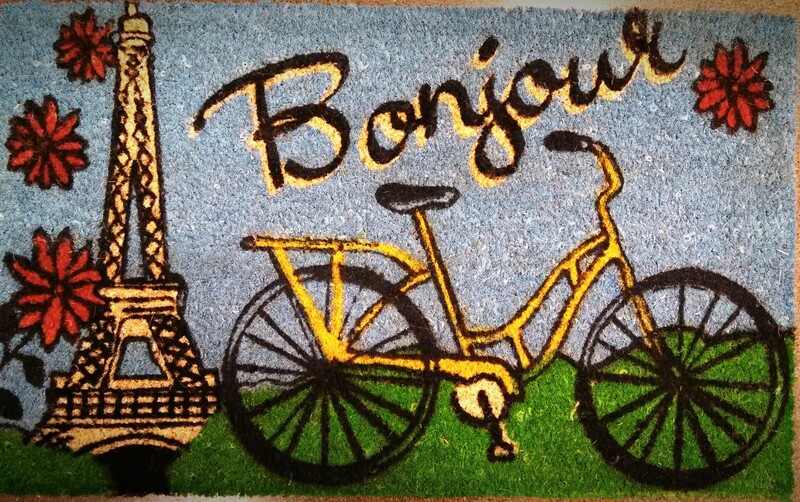 I’m trying to somewhat match the colors to my doormat, which is fairly bright. I wound up with this cute little kabob of color. I wasn’t intending to make a rainbow, and I may not use all of those colors (not sold on the orange), but they sure are pretty all together like that. I think I need a few more flowers as these are smaller than my bunting triangles and stars. I’m continuing to make progress on Lexie’s new bloom. I’m into the third diamond lace repeat. It should easily be done by her birthday in two weeks. I can’t believe she’ll be one in just two weeks! I also cast on a bit of “TV knitting” in the form of these fingerless mitts. 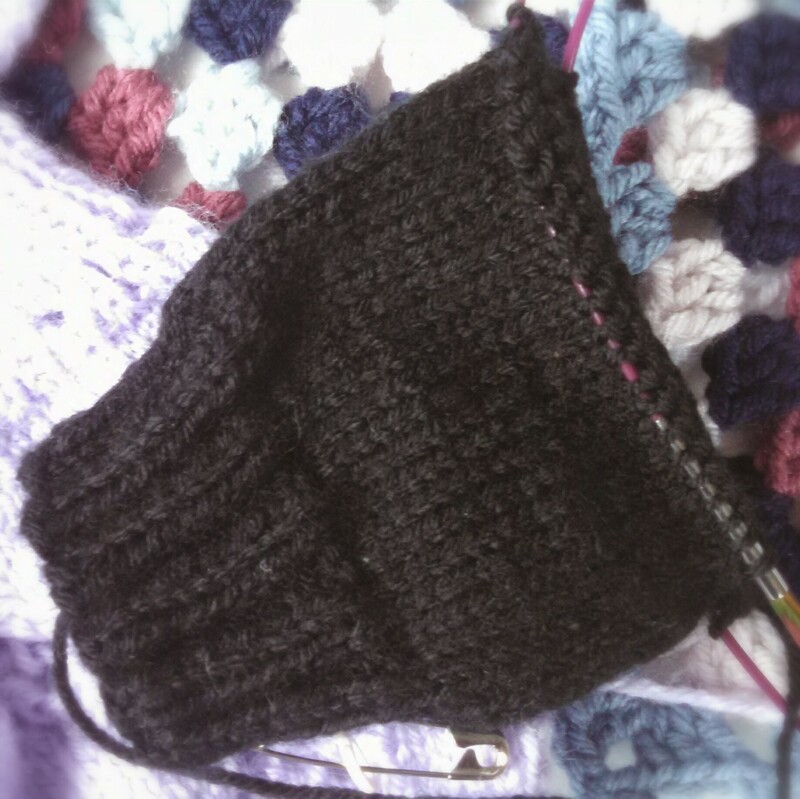 I’m just about to the thumb on the first mitt. That about concludes this edition of WIP Wednesday. Please do come back on Friday for my chat with Tara. 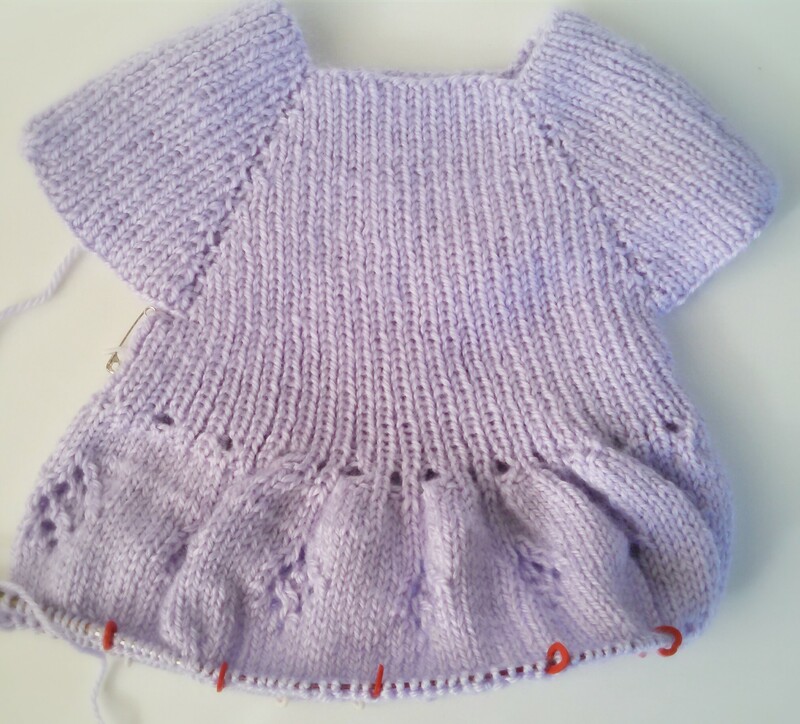 WIP Wednesday: More Than I Can Chew? It’s the wee hours of Wednesday, and I’m sitting in a rocking chair in a dimmly lit room across from a two year-old who will not go to sleep for the life of him. Or, I should say, back to sleep. He was asleep for an hour before some inexplicable thing caused him to wake two hours ago. *sigh* Now, he has his proverbial second wind, partly, I’m sure, due to the newness of me. He doesn’t remember, but I took care of him when he was an infant. Anyway, it’s too dim to read or knit, and he refuses to be cuddled or rocked, so I think I shall get some blogging done. I’ve been neglecting my crochet in favor of my various knitting projects. 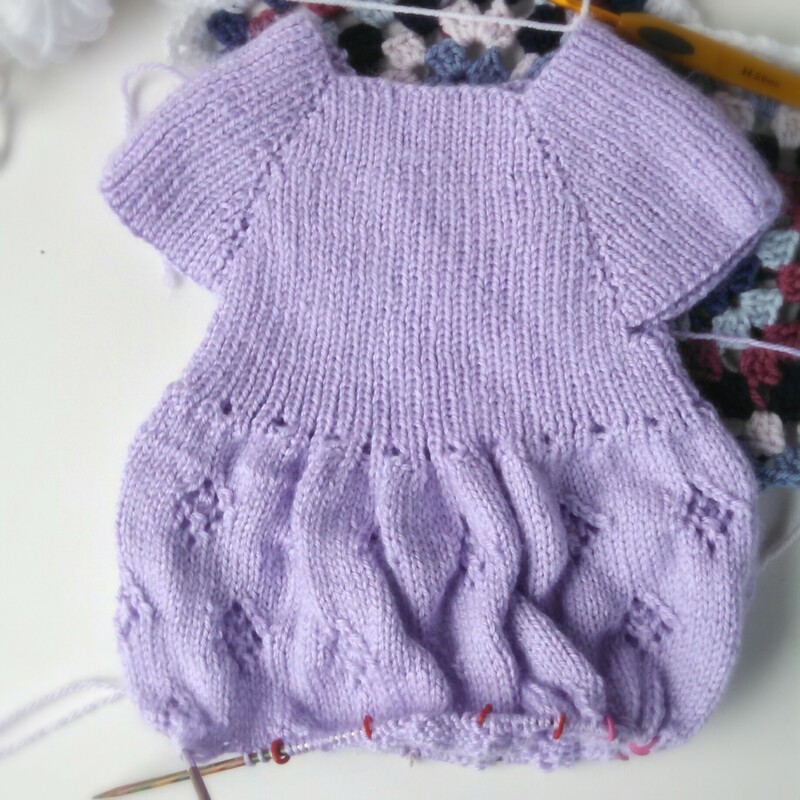 However, Sandra over at Cherry Heart has started a Blanket Along for the month of March, and that is perfect incentive to pick up my hook again and make some progress on my Magnum Opus. If you’re new or just don’t remember (it’s been a while), my Magnum Opus is an afghan I’m trying to make for my bed. It’s going to be between Full and Queen sized. 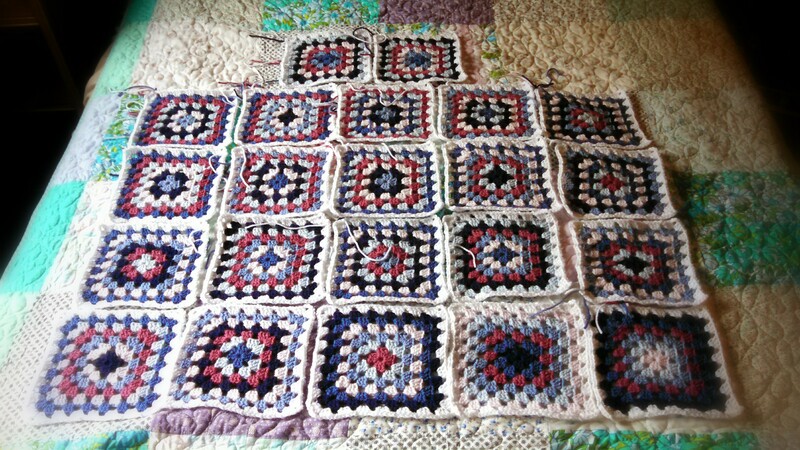 So far, I am only about a quarter of the way finished with the squares. It’ll be interesting to see how big of a bite I can take out of the remainder. Well…here’s where I should say that I’m still reading God For Us. I’d love to say that but the truth is that I’ve hardly touched it this week. I keep meaning to do better and actually read my daily readings, but it never seems to happen. In a way, not being able to do this perfectly (and really, who can?) just highlights for me that I really do need the grace and mercy Jesus gives. There is no way to be perfect on my own…and isn’t that the whole reason He came in the first place? 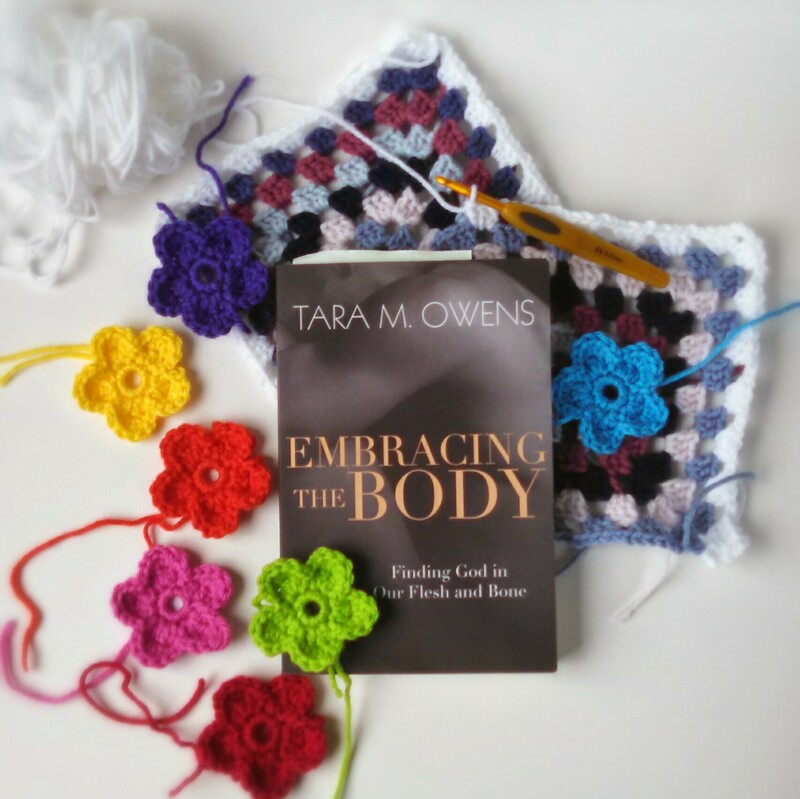 “Our bodies teach us about God, and God communicates to us through out bodies. Our bodies are more good than we can possibly imagine them to be. And yet at times we may struggle with feelings of shame and guilt or even pride in regard to our bodies. 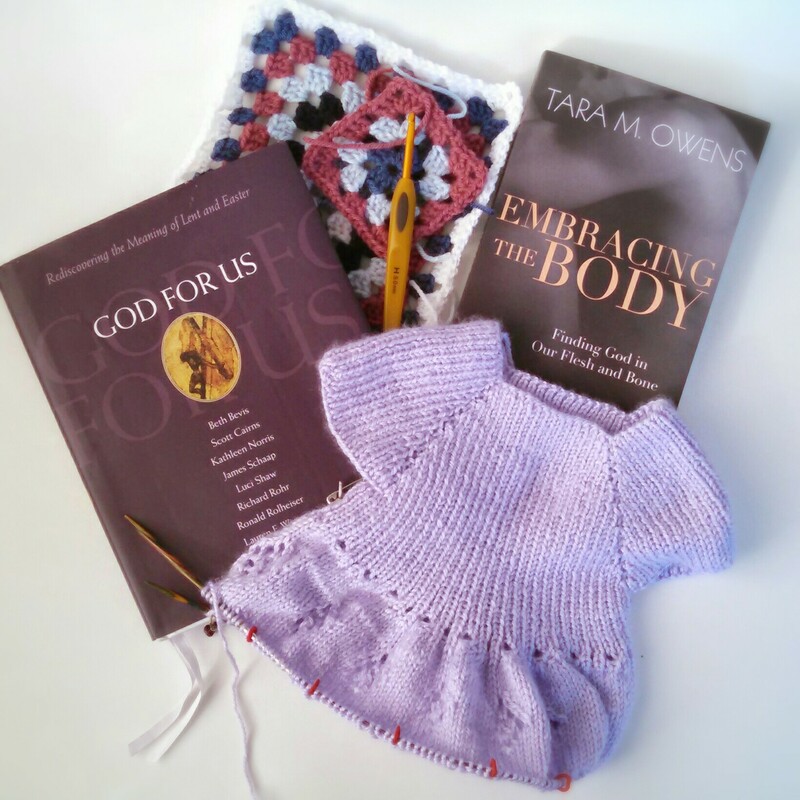 What is God trying to do through our skin and bones? I’m excited. I’m excited to see what God has for me in the pages of this book…and beyond as we journey through it, He and I.
I’m making steady progress on Lexie’s bloom. I’m into the second diamond lace section. Her first birthday is at the end of the month, so I’ve got to have it done by then. And that about covers it. 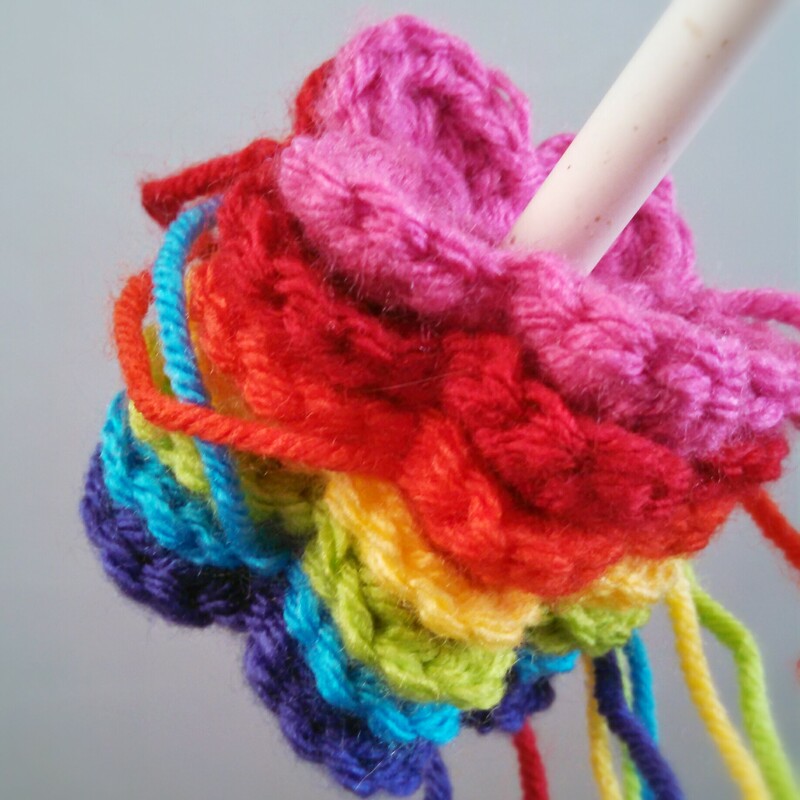 See you at the Yarn Along! PS: Little Rascal finally conked out again around 2 am!